There is a sweet and irresistible dessert perfectly suited to every taste and occasion. No chocolate lover can refuse a slice of rich chocolate torte, and a mound of homey blackberry cobbler captures the mood of summer. And what better way to end an elegant dinner party than with a scoop of refreshing mango sorbet or a serving of poached pears drizzled with raspberry sauce? 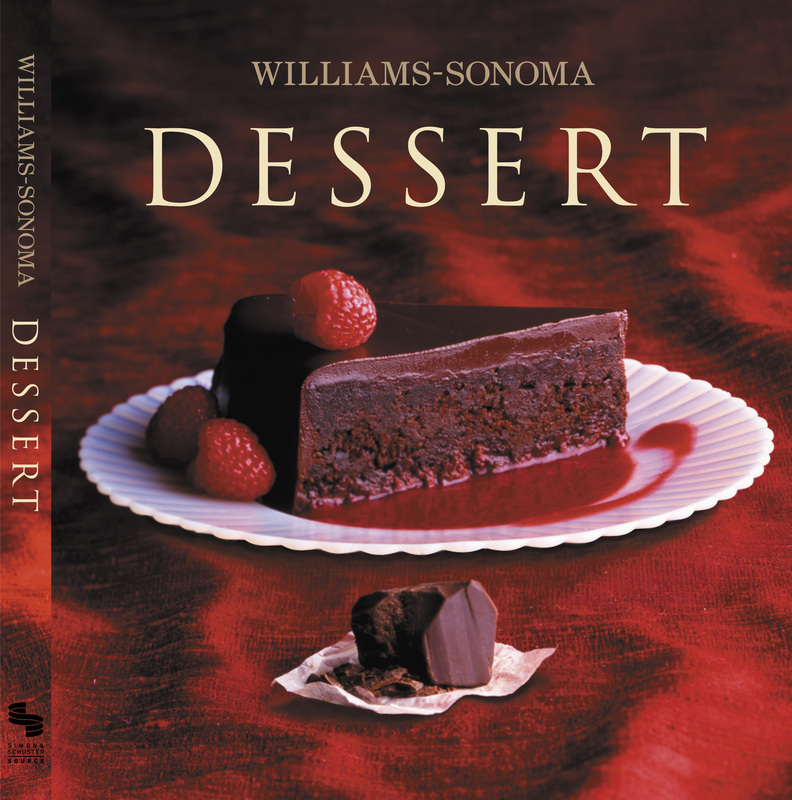 Williams-Sonoma Collection Dessert offers more than 40 recipes, including favorite classics and fresh new ideas. Inside, you'll find simple desserts perfect for a quick afternoon snack as well as seasonal recipes designed for events throughout the year—from the ideal ending to a July picnic to the last course of a hearty autumn meal. For an impressive presentation, offer your guests a selection of elegant desserts on special occasions. And finally, a chapter devoted entirely to chocolate gives you good reason to indulge in everybody's favorite temptation. Full-color photographs of each dessert help make it easy to decide which to prepare, and each recipe is accompanied by a photographic side note that highlights a baking technique or key ingredient, making Dessert much more than just a fine collection of recipes. An informative basics section and extensive glossary fill in all you need to know to create an unforgettable dessert that everyone will enjoy. Whether it's a plate of warm double chocolate chip cookies, a chilled dish of richly caramelized crème brûlée, or a thick wedge of old-fashioned apple pie, no one can resist the sweet allure of a homemade dessert. Williams-Sonoma Collection Dessert offers more than 40 easy-to-follow recipes, including both time-honored classics and irresistible new ideas. In these pages, you'll find delicious desserts, both simple and extraordinary, designed to fit any occasion at any time of year, from an elegant holiday celebration to a quick mid-afternoon treat. This beautifully photographed, full-color recipe collection is certain to become an essential addition to your kitchen bookshelf. Chuck Williams It is my wish that this book will bring a little sweetness to your table.